Andrew Rogerson currently holds two credentials from the M&A Source. The first is the M&AMI or Mergers and Acquisition Master Intermediary and the second is the CM&AP or Certified Mergers and Acquisition Professional. Andrew has earned the Certified Business Broker (CBB) designation from the California Association of Business Brokers. Andrew holds a Certified Machinery and Equipment (CMEA) designation from the NEBB institute. He also holds a Certificate of Taxation from Los Rios Community College and has a Broker's License with the California Bureau of Real Estate (01861204). 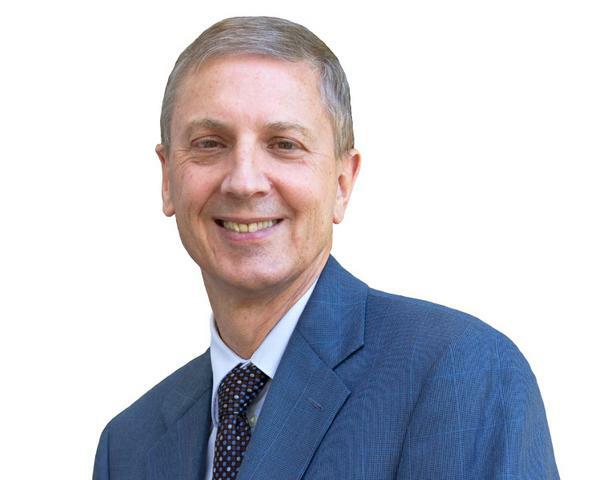 As the President of Rogerson Business Services in Sacramento, CA, Andrew assists his clients with both selling and buying businesses privately held business including medical practices and related services such as business valuations and equipment appraisals. Since 1983, Andrew has owned and operated five businesses. At just 27 years old, he bought his first business, an international travel agency. With hard work resulting in increased sales, Andrew sold the travel agency just two years later for 2 1/2 times the original purchase price. Andrew's next venture involved owning and managing two retail office equipment/furniture stores in his native Australia. In 1995, after Andrew came to the United States as a diplomat for the New Zealand government, Andrew and his family obtained Green Cards so they could return to California and own and operate a wholesale travel and tourism company based in Los Angeles called NZTP Limited that had an annual turnover of $10,000,000. More recently, Andrew and his wife Anne owned an executive suites business in Fair Oaks, CA. Anne operated this business while Andrew worked as an outsourced program manager at the Roseville campus of Hewlett Packard. At HP, Andrew managed a team of 42 employees, deploying a new global call center and support team that included Web developers, technical writers and trainers. Andrew attended La Trobe University in Melbourne, Australia, his native country, and recently completed studies in Business Valuation and Appraisals, Business Brokerage and Taxation. Andrew enjoys flying (he is pursuing his pilot's license) and SCUBA diving as well as sports and politics. Andrew Rogerson currently holds the CM&AP designation from the M&A Source. He also holds the Mergers and Acquisition Master Intermediary (M&AMI) designation, also from the M&A Source. These credentials certify Andrew as an expert in Mergers and Acquisitions. Andrew is also a Certified Business Intermediary (CBI) designation from the M&A Source and International Business Brokers Association (IBBA), the highest designation awarded by the IBBA. Andrew has also earned the Certified Business Broker (CBB) designation from the California Association of Business Brokers. Andrew holds a Certified Machinery and Equipment designation (CMEA) from the NEBB Institure and is a Certified Senior Business Analyst (CSBA) with the International Society of Business Analysts. He also holds a Certificate of Taxation from Los Rios Community College and a Broker’s License with the California Bureau of Real Estate - 01861204. Ready to sell your business but not sure what it is worth? Andrew has valued over 120 businesses in a cross section of industries. These valuations are used as the basis to help a business owner with a price to list their business for sale, if going through a divorce or other critical business or life event. Andrew has the Certified Machinery and Equipment Appraiser (CMEA) designation with the NEBB Institute and is available to meet the high standards of this appraisal requirement. A Certified Machinery and Equipment Appraisal is defensible, irrefutable and substantiated. This type of appraisal is required by business owners, lenders, CPAs, attorneys, courts, adjusters and others for a qualified and substantiated appraisal of the machinery and equipment. Are you on the "job" treadmill and wonder if there is a better option? Perhaps you have thought owning and operating your own business but were not sure where to start? If you have been thinking about becoming a business owner you have three choices. You can start a business from scratch, buy an existing business or buy the rights to a local franchise. If you would like more information, visit my website Rogerson Business Services where you can download a book on each of the above options. This now puts you in control so you can decide the direction you wish to take your life and your dreams. Andrew is the author of four books on business ownership. These books are available from Amazon, Barnes and Noble, iTunes, Smashwords or Andrew's website: Rogerson Business Services.